Can be hire on a variable mileage basis or on an agreed hourly rate. Entourage is a personal transport service for discerning individuals and corporate clients, satisfying both sectors in equal measure. The influencing factor is simply that our clients are looking for a 'Business Class' level of service. 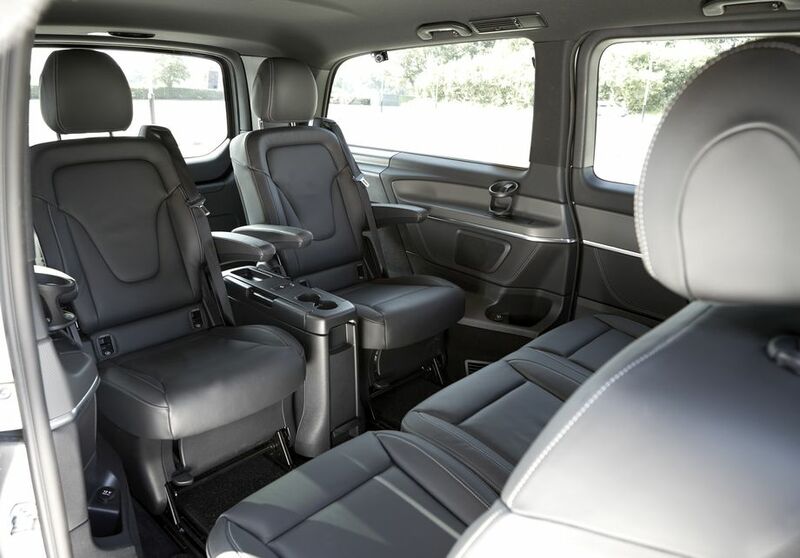 We ensure our clients enjoy a spacious and luxurious environment by using Mercedes V Class vehicles. These vehicles offer premium interiors with masses of space mixed together with high end saloon car luxury, borrowing design elements and technology from the Mercedes S Class. 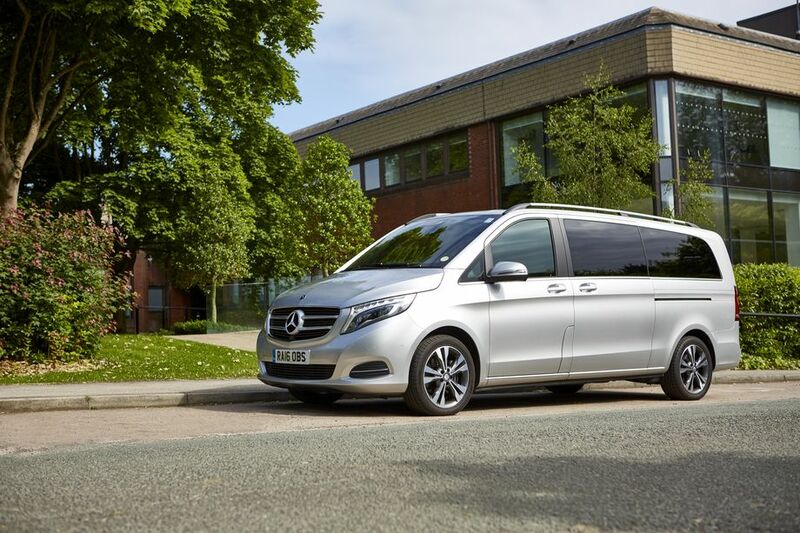 The vehicles are licensed to carry 6 passengers in comfort. Fantastic service from Entourage Cars who met us at Manchester Airport after our flight home from Dubai. Nothing better than being chauffeured home in comfort and style after a long haul flight! 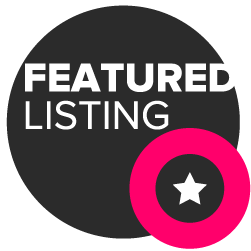 Highly recommended - Thank you again! Either, or a combination of mileage and time. The only models we have are Mercedes V Class. The cabin is equipped with two large pilots chairs and a facing bench seat for 3 people. The vehicle is equipped with tables that can be used for socialising or work, these tables can be stowed away if not required. 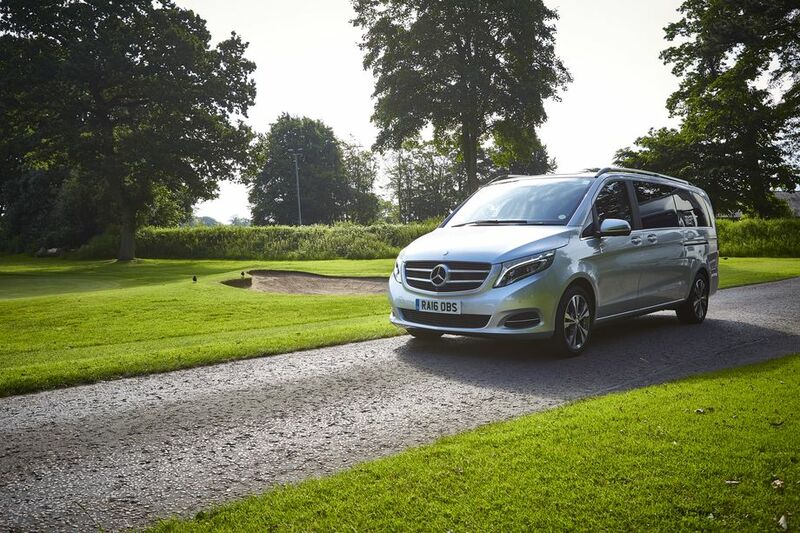 The Mercedes V Class is supplied with complimentary chilled bottled mineral water for all occupants. Mobile Wifi is also available together with 12v Charging sockets. No, the vehicle can be made available for a whole event if required. 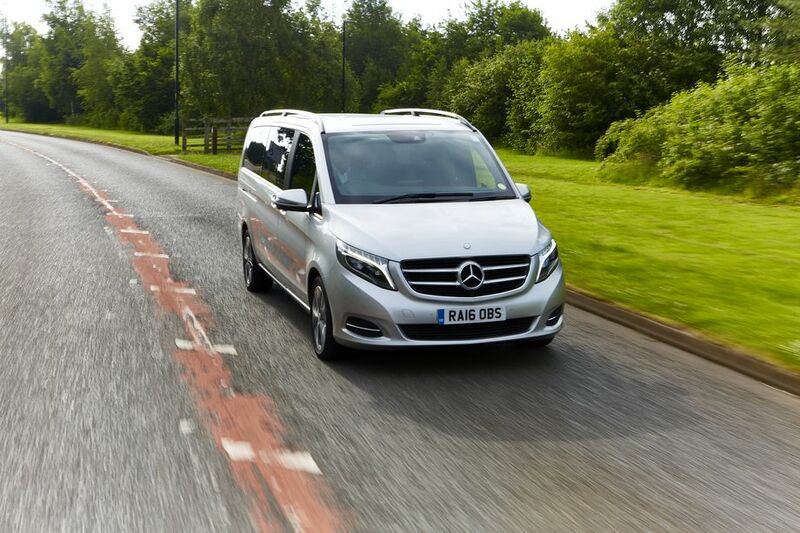 The hire or journey is worked out on either mileage, time or a combination of the two the vehicle can be hired by the hour though if this is more convenient. 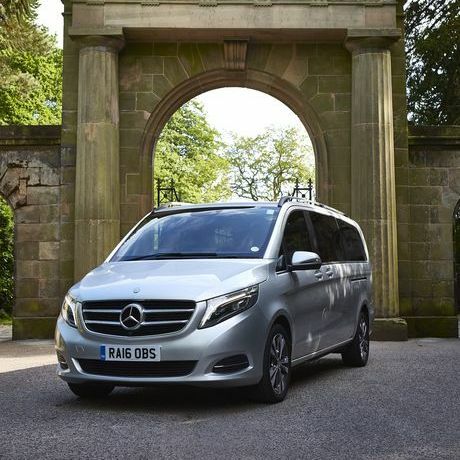 The vehicles are Mercedes V Class licensed to carry 6 passengers.